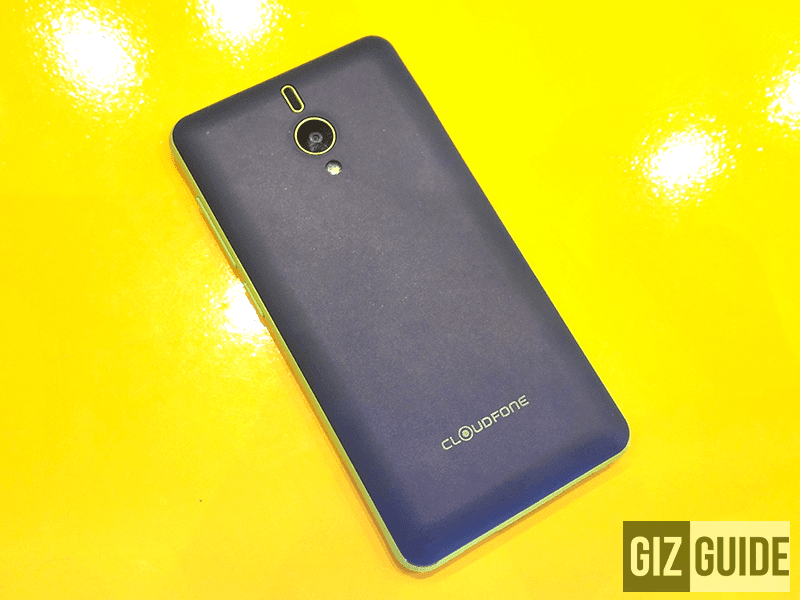 Quick CloudFone Spotify Lite Review - The Best Budget Music Phone In The Philippines! 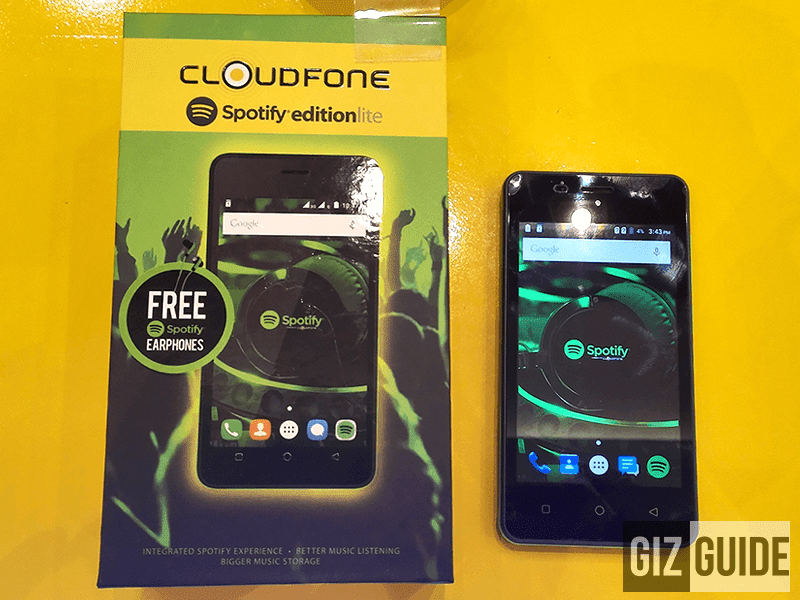 Home / cloudfone / mobile / reviews / Quick CloudFone Spotify Lite Review - The Best Budget Music Phone In The Philippines! As the trend continues, technology and pricing keeps on getting better and better each and every year. 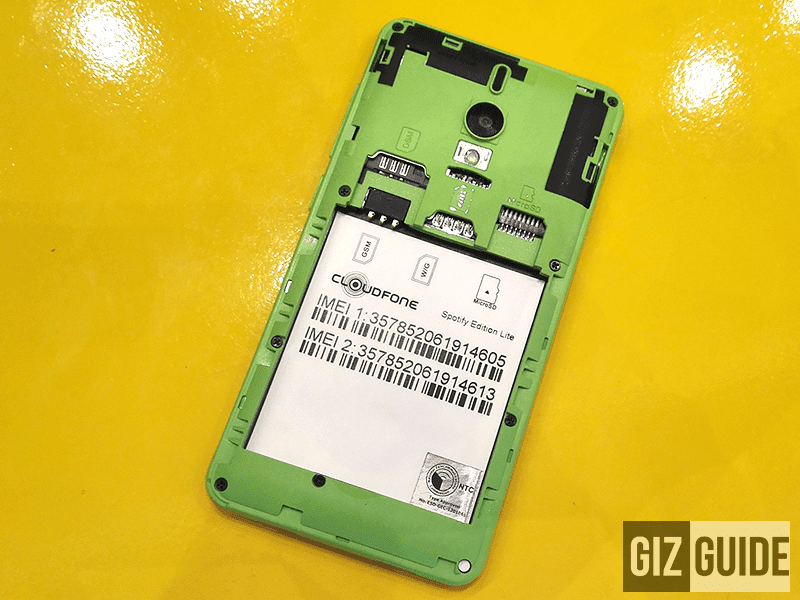 Recently, CloudFone in cooperation with Spotify came up with a super budget device dubbed as the Spotify Lite that caught us off guard via way of never before heard specs for the price. 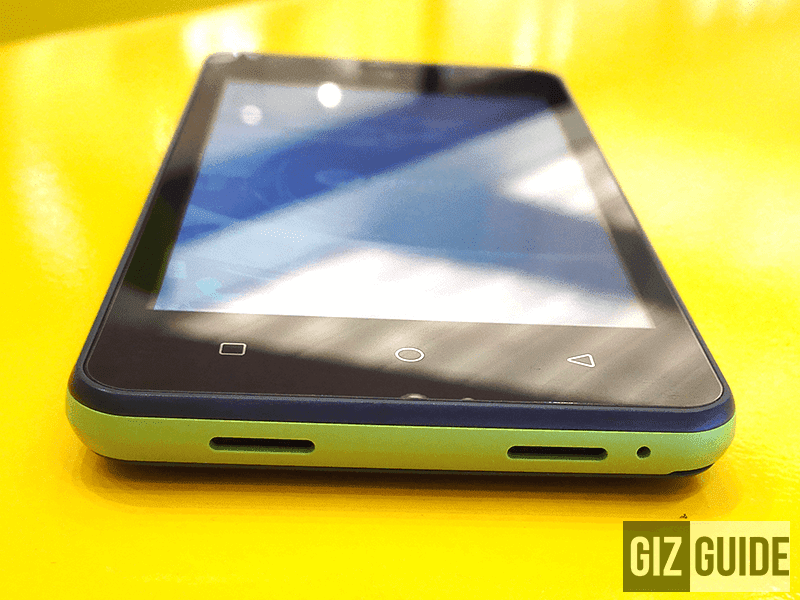 So without any further delay, here's our quick CloudFone Spotify Lite review. As expected coming from a CloudFone device, having a low price tag isn't an excuse not to came up with a solidly built device. This device is no different. While its made out of all plastic materials, you'll get that feel that you're holding something with good quality that's quite thicker and tougher than expected. The device was also well polished as it doesn't have sharp edges and the semi curved textured back cover made it comfortable to hold with good grip. In terms of design, CloudFone was able to maintain the Spotify look and feel here. 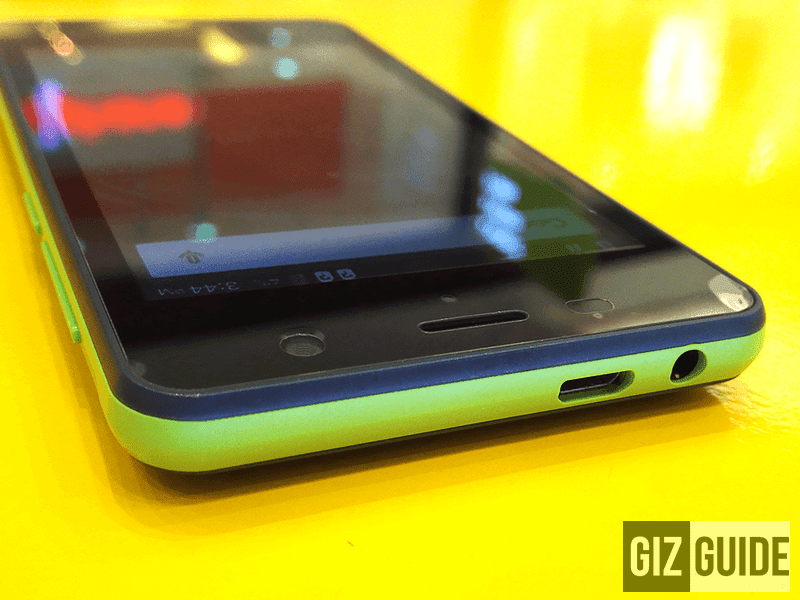 The device came up with neon green and dark grey colors to that looks funky and edgy to give a distinct music phone attribute. Confirmed: Both speakers actually works! I also never had a problem with button and ports placement as they were properly in place. You'll easily locate the power button and volume rocker on the right side, the dual speaker setup and mic below and the 3.5 mm female jack together with the micro USB charging / data port on top. I was only able to listen with the Spotify Lite for a few minutes, but I can say to you that I had a wonderful time with it. Moving forward to the headphone quality, I always test if the device can play lossless quality music. I'm glad to report that for the first time, there's an under 3,000 Pesos phone that can play even 192 KHz / 24 Bit FLAC files. The overall sound signature also has that good balance with a little bit of emphasis on the lows (bass region) that makes this a pretty well rounded audio player. 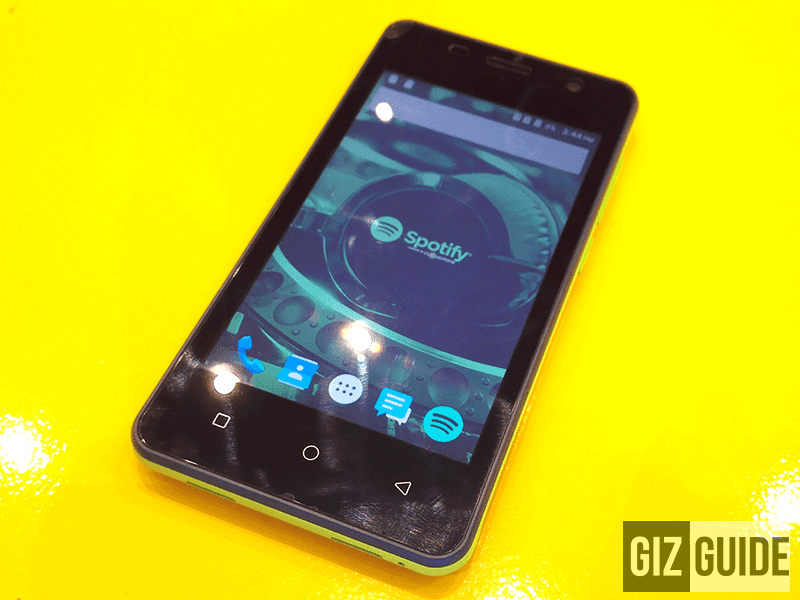 While you should not expect that near impossible to achieve HiFi sound on a small package and low price tag, I can testify to you that for a smartphone, the Spotify Lite sounds pretty darn good for a super budget phone. Note: Just like the CloudPad 702q and Thrill 500x brothers this also goes with a FREE limited edition Spotify Edition earphones, but doesn't have the headphone in the package. CloudFone Spotify Lite is probably the only phone in the land that has 1 GB of RAM to give you that decent multitasking experience on a budget. To make things sweeter, CloudFone decided to add 1.2 GHz Spreadtrum SC7731 quad core processor and Mali 400 GPU setup that's snappy enough for Social Media usage and can run some 3D games. The Spotify Lite is also paired with 8 GB of expandable ROM to let you store more files and apps. Camera-wise, the Spotify Lite provides you with 5 and 2 MP sensors for your basic mobile photography needs. This phone also runs on a slightly Spotify modified stock Android 5.1 Lollipop OS to complete this good budget experience. Note 1: That SoC, GPU, RAM and storage setup is the best under 2,000 Pesos as per my knowledge. A solid budget phone experience, CloudFone and Spotify did a tough act to follow type of offering here! They were able to came up with a device that rocks an unprecedented value for money coming from a super low cost phone. That makes the CloudFone Spotify Lite not just great budget music phone, but also your must have entry level Android 5.1 Lollipop device. We'll try do a full review of this one soon or update this post for the rest of the missing details. Stay tuned!